Create many promotions with Coupon Generator! Tired of copying coupons for your regular promotions one by one? No worries! 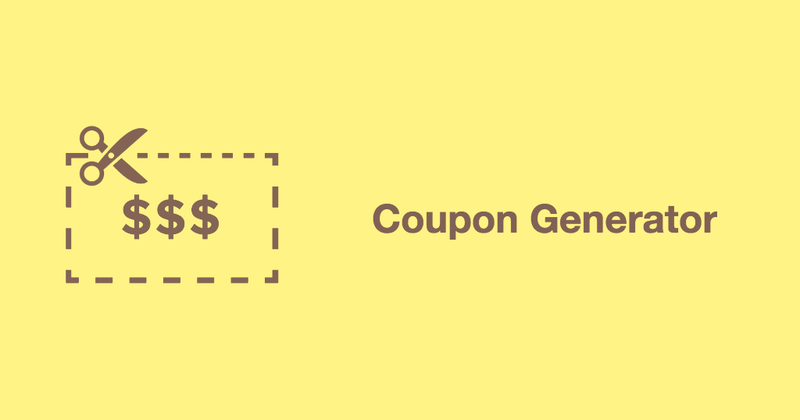 With coupon generator, you can easily duplicate as many coupons as you want based on existing types of coupons in your store. 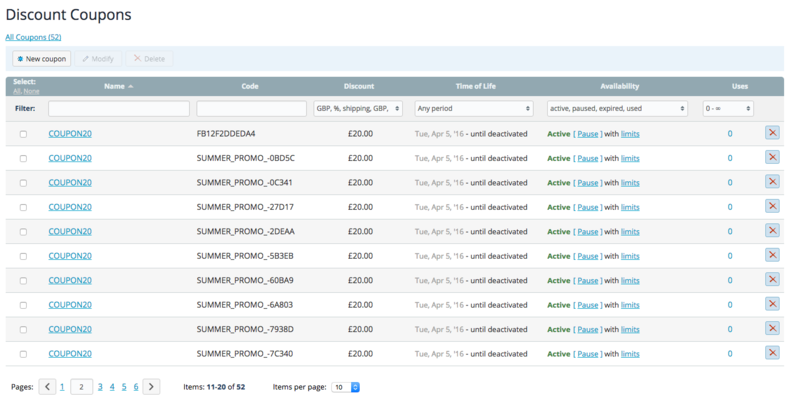 Just pick an existing coupon, select how many you wish to create and let the app do the work! You can set prefixes for the new coupons to help you specify a promotion they belong to. I love this app! I have an account with Groupon and they need 5000 coupon codes on a regular basis. Before this app, I had to install each code one by one which took me two weeks to do each month. After this app I was able to generate 5000 coupon codes within minutes. What a timesaver and stress reliever. I am seriously so happy for this app and my fingers can rest instead of cramp up. ThinTonic Tea, www.thintonictea.com.